A passion to cultivate the purest medicinal cannabis on the Mendocino Coast. 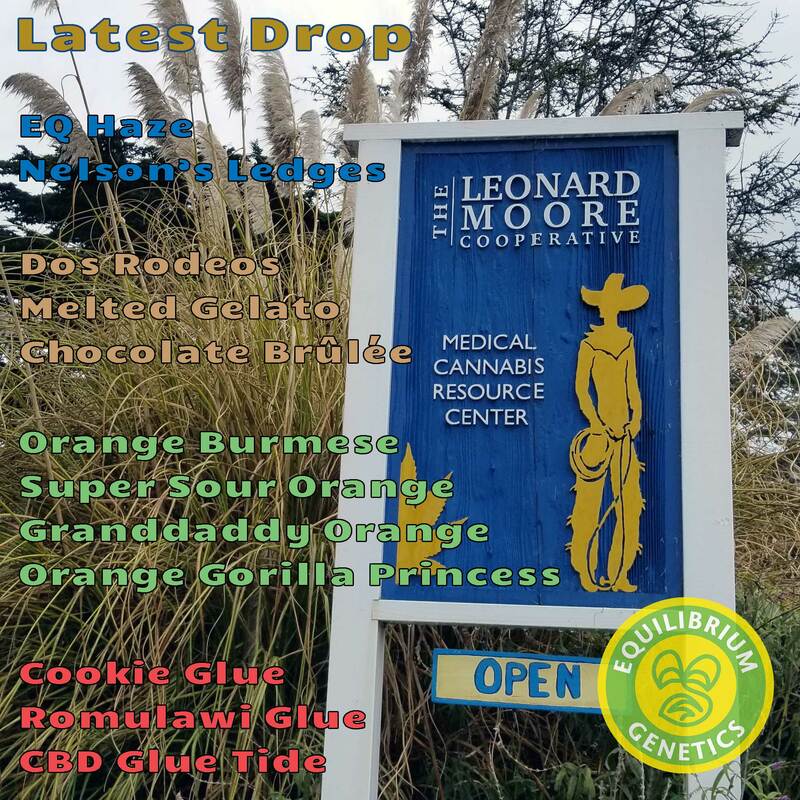 The Leonard Moore Cooperative is a cannabis dispensary and resource center located in the heart of Mendocino Village. We are committed to serving our community and visitors with the finest cannabis flowers and edible products our region has to offer. Our staff is both knowledgeable and passionate about the benefits and joys of cannabis use. We are here to educate and assist the public as best we can. Our bud tenders can help you choose the products that may have the greatest benefit for you, according to your specialized needs: be they medical or recreational. We work with small farmers and producers, many of whom are second and third generation contributors to the cannabis culture that Mendocino County has become world renown for. Cannabis really is a way of life for those of us who live here: sustaining our health, livelihood and community. Learn more about the Leonard Moore Cooperative at their website.